We’ve modernised the process for purchasing your 2018/19 season ticket, allowing supporters the ability to buy online, as well as using the traditional methods we offered before. If you would like to renew online, the process is nice and easy. You will receive a customer code either by email or in the post in the coming days. Once you have that, here’s what to do next. How do I buy tickets for all my family? If you have family members who haven’t received their code to renew, don’t worry. Just get in touch by emailing tickets@motherwellfc.co.uk, sending us a direct message on Facebook or Twitter, or calling us on 01698 333333. We will be able to give you the rest of the codes you need straight away. Since this is new to all of us, there may be some little glitches along the way. Don’t worry – we can fix it for you no problem at all. Just get in touch by emailing tickets@motherwellfc.co.uk, sending us a direct message on Facebook or Twitter, or calling us on 01698 333333. I use the WELLevate scheme but some of the tickets aren’t showing up? Again, don’t worry. Get in touch using any of the contact methods and we will sort this out for you. How long is my seat being held for? All current season ticket seats have been reserved and will remain reserved until the first home match of the 2018/19 season. Can I still pay by standing order? Yes you can. This isn’t possible online, but you can still do this by phone, by post or by visiting the ticket office. Online you can pay by credit/debit card, or use our Zebra Finance option. I don’t have a season ticket – can I buy one? Absolutely. 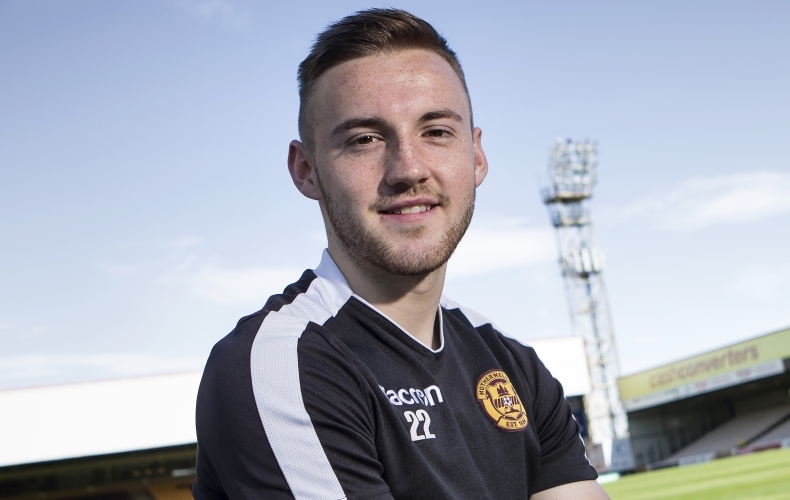 Just create a new account at tickets.motherwellfc.co.uk. 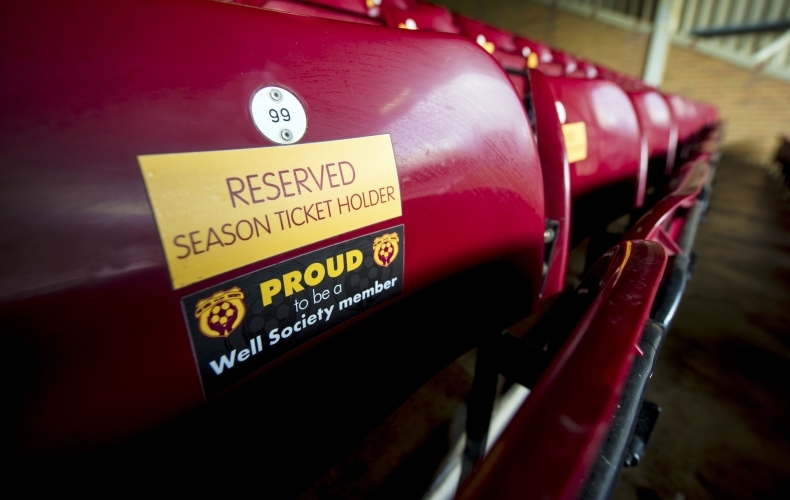 You’ll then be able to pick your seat from those currently available at Fir Park. I’ve bought my ticket. When will I get my season card? We will start issuing season cards in late June, well ahead of the start of the season. You can choose to have yours sent by recorded delivery for £2.50 when you buy, or you can come in to collect for free. We will let you know when cards are available. 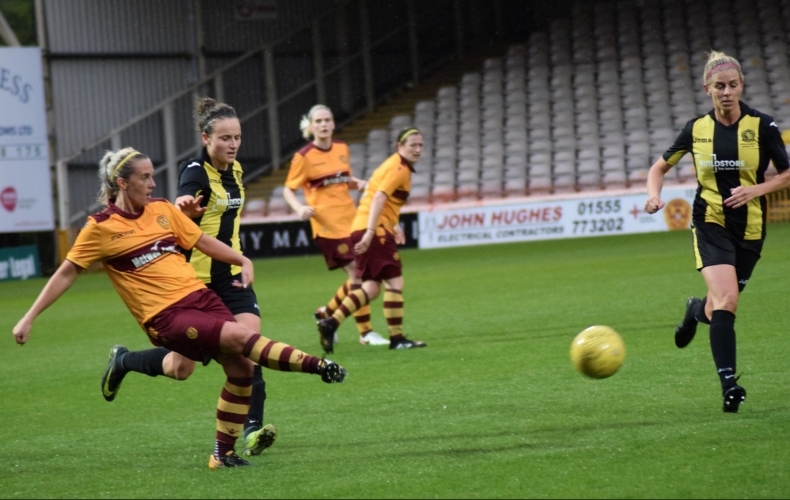 The women of steel hit six goals for the fifth time this season as well as another clean sheet as they defeated Edinburgh University Hutchinson Vale 6-0 at Fir Park on Wednesday night. The league leaders won convincingly in their debut match at Fir Park to extend their stay at the top of SWPL 2. The Steelwomen nearly got off to a perfect start as Sammy Hare got on the end of a Megan Burns cross, but her shot was just inches wide of the post. The ladies seemed to make full use of the width of the Fir Park pitch with Caitlin Russell and Emma Black causing havoc down the wings. 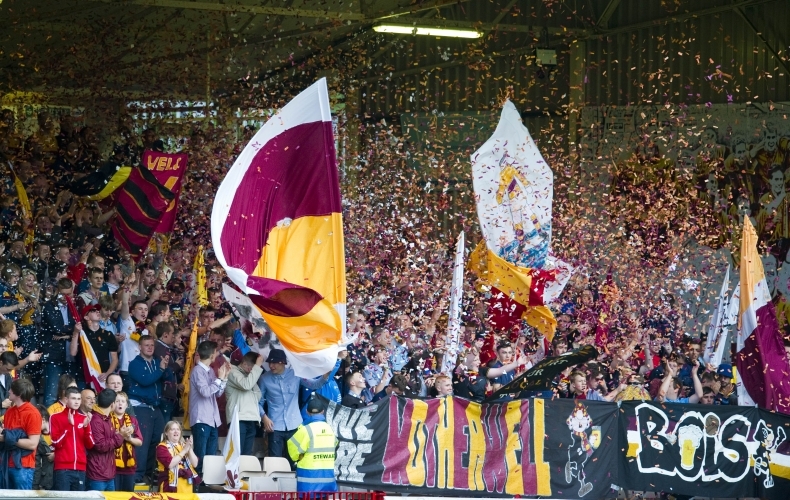 As the game entered the 20th minute, Motherwell battered the EUHV defence and was rewarded with the first goal of the match. Russell put the hosts in front with 22 minutes played. The defence didn’t deal with the ball and it fell to Russell who poked it into the net. It didn’t take long for the ladies to double their advantage; they did so in the 33rd minute with Russell grabbing her second of the match. A brilliant cross into the box by Black was met by the head of Russell who powered home her header to put the ‘Well 2-0 up. EUHV had their chances to get back into the game, Anna Hume with the best chance of the game so far for the Edinburgh side, she was played in one on one against the keeper as the Motherwell defence was split open by a through ball. Her initial shot was blocked but then hit the deck seeking a penalty, the referee waved play on and she had another shot on goal as the defence struggled to clear their lines but it was well saved by Johnstone. EUHV came close again with Hume being involved once more as Katherine Smart intercepted a slack ball and proceeded to start the counter attack; picking out Hume with a lovely through ball but to Motherwell’s relief, the linesman flagged the pass as offside to stop a certain one on one. The first half would come to a close with Motherwell creating the better chances, Sammy Hare came close but could only find the side netting and despite plenty Motherwell shirts in the box, Megan Burns and Hayley Cunningham’s crosses were dealt with by the Vale defence. Motherwell went in at the interval with a two goal advantage as the rain continued to bombard with Fir Park turf. The Steelwomen started the second half picking up from where they left off in being the more attacking force in the game; however EUHV came out with a point to prove and started strongly as well. The first real chance of the half fell to Cunningham who crashed one off the bar. Spotting Lessells in the Vale goal off her line, she tried her luck from range, the ball floated over the head of Lessells but clipped the bar and back into play. Continued chances followed for the women of steel and they got their reward with two quick-fire goals in a matter of seconds in the 54th minute. The first goal was courtesy of Sammy Hare who headed home from a Black cross, to put the hosts three nil up with a glancing header. The second came as Captain Suzanne Mulvey added her name to the scoresheet, the former Scotland international picked the ball up from outside the box and hit a low driven shot into the bottom right corner, a finish that Lessells could do little about. As the half progressed it was still Motherwell who were the dominant team as they looked in full control of the game, constantly attacking the EUHV goal and looking to win every ball as if their lives depended on it. Motherwell scored the fifth goal with ten minutes to play, Sammy Hare grabbed herself another, getting on the end of deep cross into the box in which she controlled and brought down with her right foot before smashing her shot into the roof of the net. The second half rout concluded in the 87th minute as new permanent signing Megan Burns produced a rocket which flew into the top left corner, a right footed shot from a long way out and a shot that the keeper could do very little about as it was sweetly struck by her right foot. The game would conclude under the Fir Park lights with Motherwell continuing to be the dominant side in possession as the referee blew his final whistle. The Fir Parkers had hit six goals yet again in a dominant performance as well as making it an incredible 420 minutes since they last conceded a goal. As well as yet another clean sheet, it was a fantastic win all round for the ladies who continue their push for promotion to the top flight. Next up is Hearts at Braidhurst High School on Sunday, 13 May.